To develop a world class real estate concept across the entire nation and to become the world's most valuable and reputed real estate company, Our development provides privacy, space, amenities and natural beautiful land, vraj infra is experienced, stable, reliable with outstanding customer services in the forefront of our building process. Vraj Infra has developed according to the colossal phases of beginning, developing and reaching on a larger perspective for achieving best deliverable quality of projects. Our innovative prospects are the results of our enthusiastic fervour and the energetic team of players in related subject arena. Team performs with a direction and guidance of the idealistic leader Mr. Mansukhbhai Savalia - Chairman & Managing Director. When our team presents its competence by taking group to enriching heights, we have strong belief and trust over there consistency, and commitment towards client's satisfaction. On the technical front, our team experiments novel ideas, top notch results while keeping updates of all business principals. 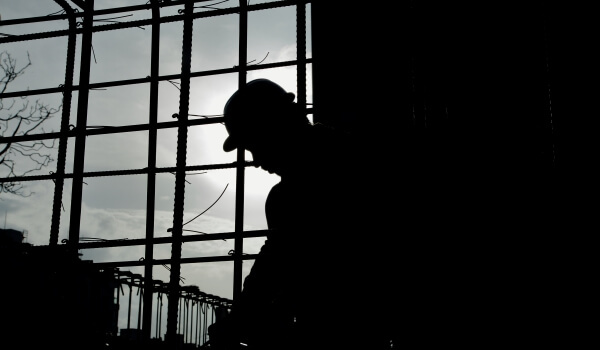 Vraj Infra, being a strong team, is devoted towards forming unique designs in terms of their features and views while keeping hold of specific location. Utmost care is been taken in layout preparation and customizing technology for getting premium results and living environs. This is what supports our cherished status of high standardized designs, specifications and construction methods. We believe in co-operated and co-ordinated efforts of enhancing corporate business competencies for valuing development, community and individual. 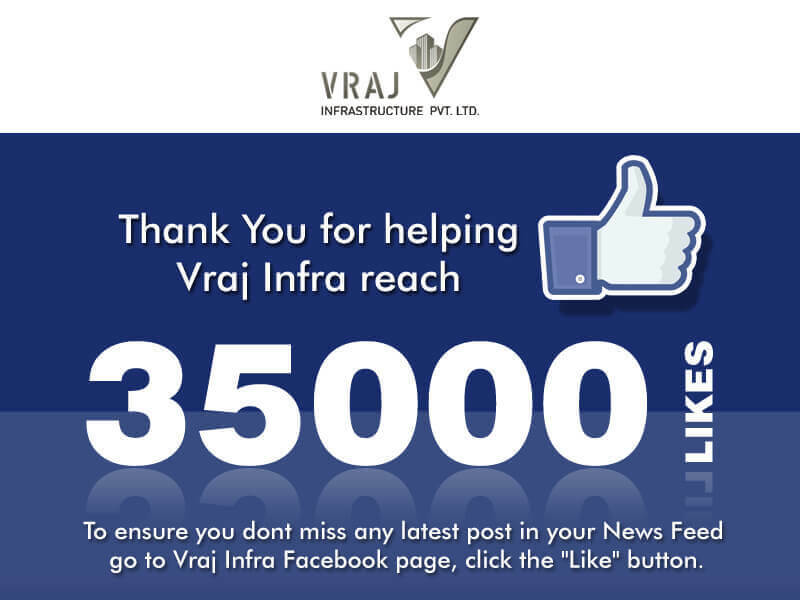 Vraj infra group, an evolution spotted with a tremendous success started in the year 1985 to an ISO 9001:2000 certified company. We have maintained a perpetual position since last two decades by following systems which are finest in respect of its quality standards. This disclaimer ("Disclaimer") will be applicable to the Website. By using or accessing the Website you agree with the Disclaimer without any qualification or limitation. The Company reserves the right to add, alter or delete material from the Website at any time and may, at any time, revise these Terms without notifying you. You are bound by any such amendments and the Company therefore advise that you periodically visit this page to review the current Terms. The Websites and all its content are provided with all faults on an "as is" and "as available" basis. No information given under this Website creates a warranty or expand the scope of any warranty that cannot be disclaimed under applicable law. Your use of the Website is solely at your own risk. This website is for guidance only. It does not constitute part of an offer or contract. Design & specifications are subject to change without prior notice. Computer generated images are the artist's impression and are an indicative of the actual designs. The particulars contained on the mentions details of the Projects/developments undertaken by the Company including depicting banners/posters of the Project. The contents are being modified in terms of the stipulations / recommendations under the Real Estate Regulation Act, 2016 and Rules made thereunder ("RERA") and accordingly may not be fully in line thereof as of date. You are therefore required to verify all the details, including area, amenities, services, terms of sales and payments and other relevant terms independently with the sales team/ company prior to concluding any decision for buying any unit(s) in any of the said projects. Till such time the details are fully updated, the said information will not be construed as an advertisement. To find out more about a project / development, please telephone our sales centres or visit our sales office during opening hours and speak to one of our sales staff. In no event will the Company be liable for claim made by the users including seeking any cancellation for any of the inaccuracies in the information provided in this Website, though all efforts have to be made to ensure accuracy. The Company will no circumstance will be liable for any expense, loss or damage including, without limitation, indirect or consequential loss or damage, or any expense, loss or damage whatsoever arising from use, or loss of use, of data, arising out of or in connection with the use of this website.